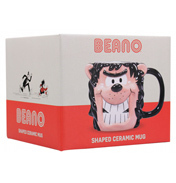 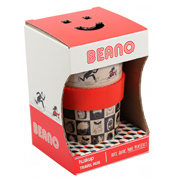 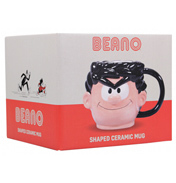 This Beano travel mug is the ideal travel companion! 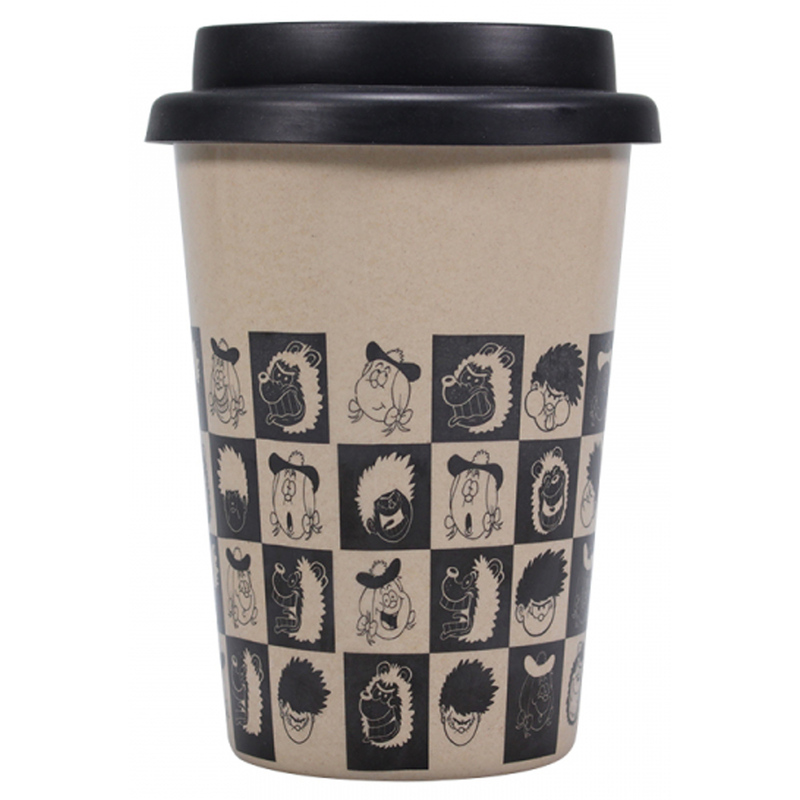 A collaboration with eco-friendly coffee cup brand Huskup, this travel mug is made out of rice husk and is 100% reusable, biodegradable and plastic free. 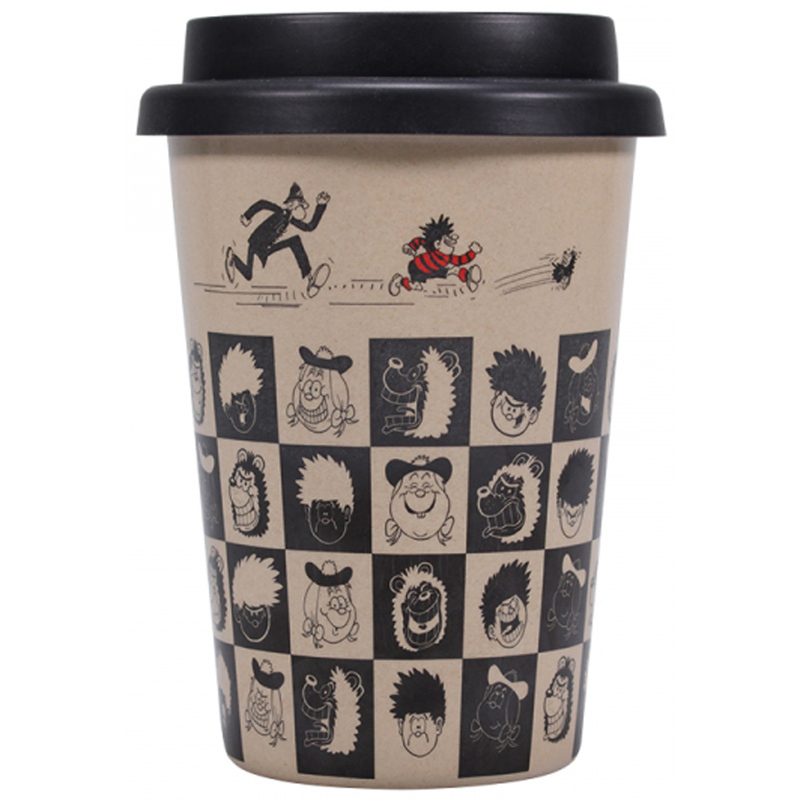 It features a fun black and white checkerboard design with various Beano characters including Dennis, Gnasher and Minnie the Minx, and an image of Dennis and Gnasher running away from Sergeant Slipper. The contrasting black lid and red band featuring the Beano logo provide comfort and protection against hot drinks and are made from 100% recyclable silicone. 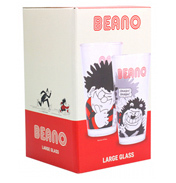 Perfect for those who want to take this fun Beano gang with them wherever they go.